It's party time! Hope your week is going well and the good part is it's a short work week for some of y'all. Have y'all entered my GIVEAWAY yet? Don't miss the chance for a large set of these wonderful plush pumpkins in your choice of colors. I love this built in picture frame ledge family gallery wall by Seeking Lavender Lane. 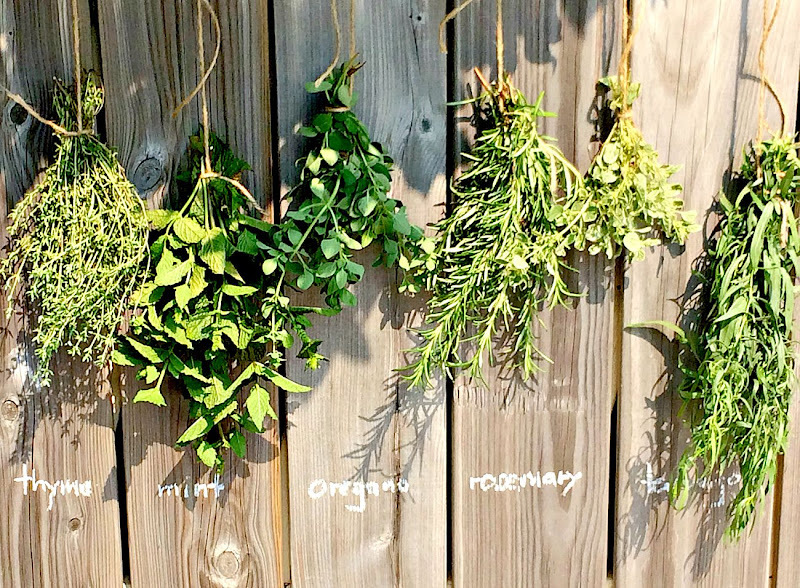 Pure Bliss shares some great tips on what to do with those herbs you grew this summer. 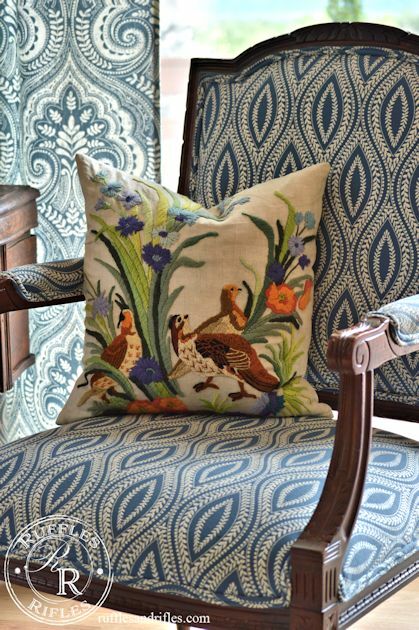 I love how Ruffles and Rifles took a framed crewel work and turned it into this beautiful pillow. 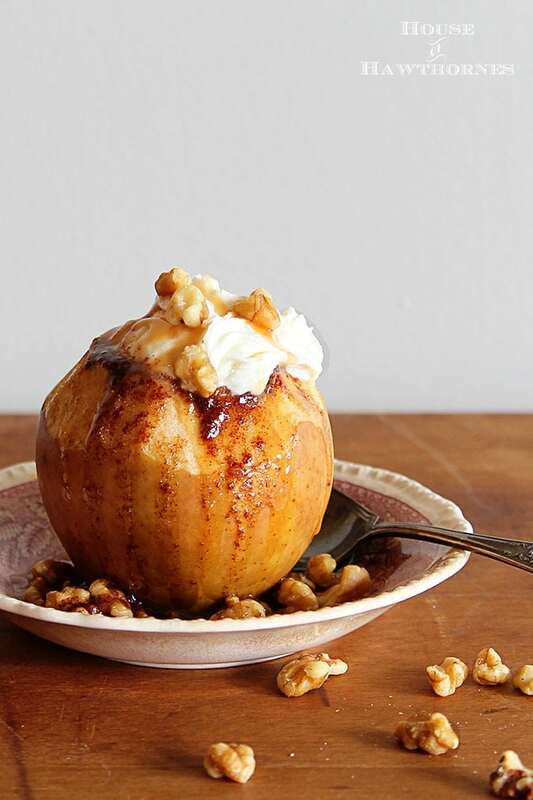 It's apple season and this crockpot baked apple recipe by House of Hawthornes is one I want to try. Thanks to everyone who partied here. Now it's time to see what you have to wow us with this week! 1. You must have a link or my button in your post to be featured. 4. By joining this party you give me permission to feature your work , with a link, on my social networks and this blog. Kim, thank you for the party and the picks! Great features...I need to be on the lookout for framed crewel work...great pillow....Thanks for hosting..have a great evening! Thanks for hosting, Kim! That apple looks delicious! Great features this week. Thanks for hosting, Kim! That apple from House of Hawthornes looks sooo good! Gonna go check it out along with the other features!! Thanks so much for the party Kim - hope you have a great ( short ) week ! A beautiful display of an early autumn atmosphere, Kim! Thanks for hosting and have a wonderful Wednesday! Thanks so much for hosting Kim. It is always a good party here. Thanks so much for the lovely party! Thank you for the party Kim! As always I enjoy your weekly WOW parties!!! thank you Kim, always an eye candy extravaganza! Pam's photo of her baked apple looks luscious! Got to check out how she baked them in her crockpot! thanks for the reminder of the give away, I almost missed it! thanks for hosting, Kim! Hi Kim - Thanks for hosting another fun party. Looking forward to visiting some of the other links. Pretty (and yummy looking) features! Thanks for hosting, Kim. Thanks for hosting, Kim! So fun to see all the beautiful linkups at the party! Oh, that apple! Great features as always! Those velvet pumpkins are so pretty. Thanks for hosting, Kim. Have a great week. Thanks for hosting, Kim. The features are great! The apple has me thinking of dessert. Love your velvet pumpkin choice. I love the look of your dining room any season of the year. Holy awesome party this week Kim. Thanks so much, and have a fantastic week. Thank you Kim for sharing my built in picture frame ledge! This made my night! Love your hutch and lush pumpkins. Oh that APPLE!!! I wish I had one right now! Thanks for hosting each week, Kim! Thanks for hosting Kim! Loved the baked apple feature. My mom used to make them when I was a kid; so simple and easy. I'll have to try the crock pot method. Thank you so much for the feature, Kim! Love the features! Thank you for hosting Kim! Thank you Kim for the fun features and hosting this weekly! Good Morning Kim! I could use one of those apples for breakfast. YUMMY. Thanks for throwing a great party! Thank you for the feature Kim! Much appreciated. God bless! Thanks for hosting the link party!! Thanks for the party, Kim! Fall is certainly in the air! Can't wait to check all the pretty things! Thanks for hosting! Links are getting so much fun as I adore everything fall, and people are bringing their A game to the link parties!!! Thanks for hosting, Kim! Wow, great party! Wonderful linkups! Thanks so much for hosting! Thanks for hosting each week Kim! Hope you are having a great week! Thank you for hosting Kim! Such great features! Love the feature highlights from last week! Lots of amazing talent. WOW! Thanks so much for featuring my crockpot baked apples! I was just casually looking through the posts tonight and there it is :) Thank you! Thanks so much for hosting another great party, Kim!! !